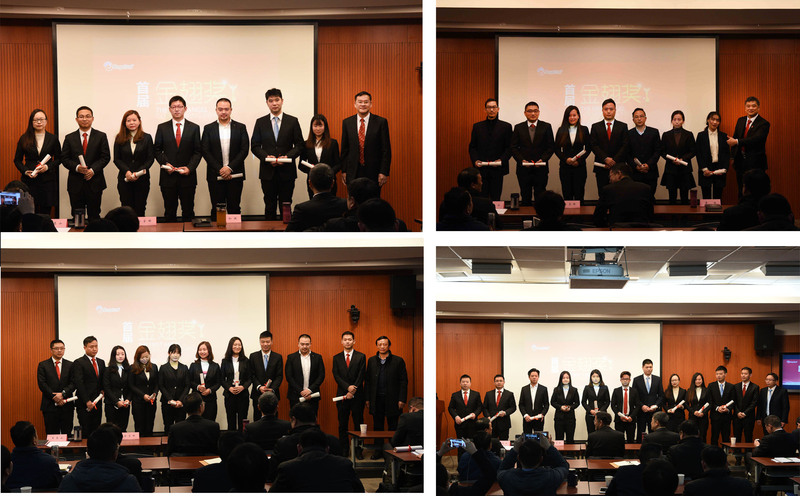 Last weekend, the first Angel Golden Wing Award ceremony took place at the headquarters of Angel Company. President Yu Xuefeng, together with other leading regulators, managers and outstanding staff attended this ceremony. The Golden Wing Award, the highest award in Angel’s communication field, is recommended to set up by president Yu, aiming at encouraging the enthusiasm and creativity of the stuff related to propaganda work, to improve the quality of propaganda work and promote the development of Angel brands and business. This award covers eight items: brand activity, PPT design, package design, advertisement design, video, picture, business articles and media creativity. This time, 375 works in the year of 2017, have been collected for declaration for the award. After a series of strict selections, 43 works finally won the award. “Our company has benefited a lot from propaganda work in recent years, thanks to it, we have achieved a great development”, said President Yu, “the main trend for business activities is to propagate through internet and new media. Business competition in the future is not only the competition of quality, but also the competition of propagation. It is not enough to just have products with good quality. We must develop with the help of advanced, creative, customer-oriented propaganda work. Therefore, we should pay great attention to propaganda work and spare no efforts to support it”.